$45 for a used tire that had 90% tread left to replace just one of my flat tires? Sign me up! There was no listings anywhere on the interweb. I stumbled upon it only because my tire failed me right off the same exit off the 101. Quick and painless. No language barrier here just in case your Spanish isn’t passeable. They use a square reader for CC payments. I wouldn’t trust them to do my wheel alignment necessarily but for above average used tires it’s a hidden gem. I would expect this spot in SF or the East Bay but north of the Golden Gate in snobby haoleville of all places?! No wonder why NO ONE was there when I rolled up. 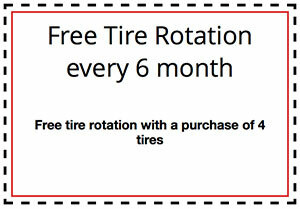 It’s worth the drive from SF or east bay ONLY to get these great deals almost brand new tires! Highly recommended. Last year when my spare tire was stolen out of my vehicle (vultures!) I was told to go look these guys up. I did. I have an SUV so tires can get spendy real fast. A spare was $65 bucks. This year when I want to replace the four on my car- I remembered to check them out. My mechanic had told me that it would cost me $647.60 total for four new tires. My beloved Jeep has 197K on it and I could smell profit margin in the air…So off to Tony’s. Today I had darn good used tires on my Jeep in 20 minutes for $300. If you’re super brand conscious or need a fab showroom to wait in- this may not be your place- but if you believe in reduce recycle re-use- it definitely is. They’re pretty nice folks, too. Need a spare? Go to Tire Sales Tony!$40 for a full-sized spare with 80-90% tread left. Great service – was in and out in less than 15 minutes. Last Saturday (1/23/16) I was at work and just happened to look out at my car around 1pm and noticed to my panic and horror, the right rear tire was totally flat. I am the solo employee at my job and can’t leave for very long. I am a senior citizen and have no family or support network to call but I did have AAA. They could come and change the flat but I did not have a spare. They could come and tow the car away but then I’d be stuck with no way home. I did not know the area (Larkspur) as I live in San Rafael. My regular mechanic, Japan Auto Repair, was already closed. Both STAR SMOG Check (down the street on Redwood Hwy near Trader Joe’s) and the AAA driver recommended I take my car to Tony’s Tires, just around the corner on Industrial Way. The AAA driver had put air in my tire, pointed out the screw in my tire which caused the flat and I was on my way to Tony’s Tire’s, a family owned business, which patched my tire in no time for a very reasonable cost as I had expected the charge to be a lot more. I noticed his nice inventory of tires while I was there and when I need new tires, I will certainly be back. He and his son were very courteous, helpful, friendly, and nice to deal with. My tire is good as new! Went with my bf today, and we got 2 used tires in great condition and 2 new for 450. Great deal, really friendly and took twenty minutes. Was about as easy as it gets! Thank you!